This contemporary, simple sterling silver Irish cross is decorated with a rose gold plated Trinity knot to its center. 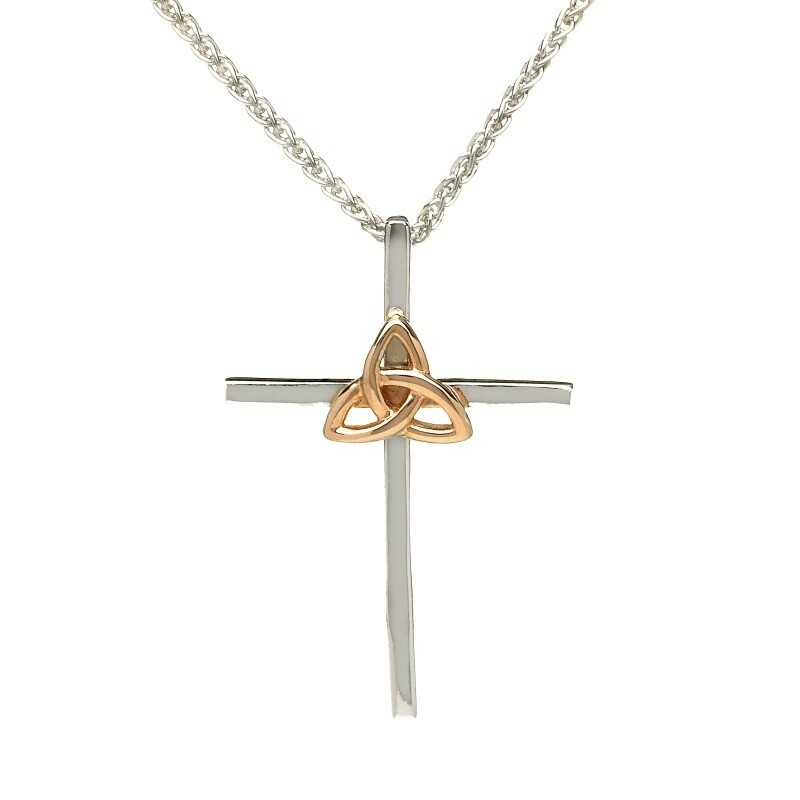 This beautiful Trinity Irish Cross Necklace is Handcrafted in Ireland and comes attractively gift boxed. Width: 18.5mm / Height:26.7mm approx.